Planning your wedding is probably the biggest organisational task you’ve had to take on. 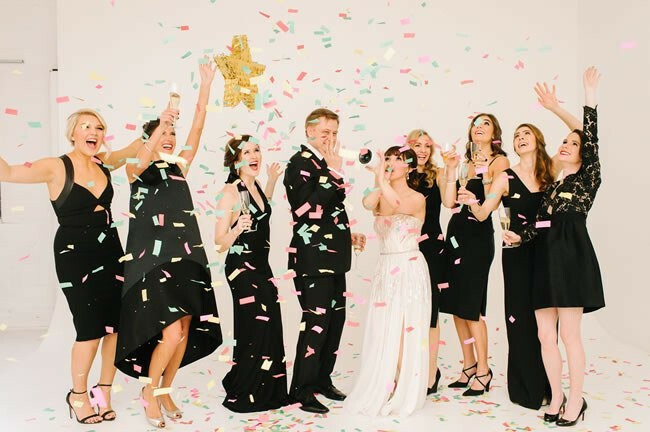 Yes, it’s very exciting, but planning a wedding doesn’t come without a confetti-sprinkling of stress, and one of the biggest stresses you are likely to face is trying to please other people. You’ll be told over and over ‘you can’t please everyone’, but that probably won’t stop you from trying. It’s perfectly natural that you want your guests to love your wedding day as much as you will. Of course, your wedding day is about you and your loved one and it should authentically reflect both of your personalities. But, it’s still a day of celebration and a party, and you can’t ignore the fact that you are the host. You wouldn’t be flippant about keeping your guests happy on any other occasion, so why should you behave any differently on your wedding day? Getting the balance right between making your wedding day everything you want it to be and catering to the needs of your guests is key. You can’t guarantee to cover every eventuality and keep everyone 100 per cent happy all day long (you’d be an event organiser otherwise). But, with some careful planning you can mostly keep your guests happy and that is good enough. Here’s how. Everyone from your relatives and future in-laws to friends and work colleagues will have an opinion on everything about your wedding. When you are planning to keep your guests happy, don’t let opinions get mixed up with actual needs. Recognise what is useful and what is not. Yes, you need a comfortable chair for your elderly aunt and disabled toilet facilities. No, you don’t have to change your mind about your woodland themed wedding. Some may balk at your ideas, but when they see how hard you’ve worked to make your big day perfect for you, they won’t be able to help but love it. No matter what you decide upon when it comes to your wedding party venue, it’s always a good idea to ensure there is a separate quieter space for guests to enjoy a break from the party atmosphere (which I hope will be a stonking one – if that’s what you want). Personally, I love the idea of an outdoor wedding and think the marquee is a perfect solution for pre-empting any unwanted inclement weather. Modular marquee designs can be built with extensions to provide additional rooms for chill-out lounges, and to accommodate bars and cloakrooms. Separate wedding catering tents are also a good idea in case of rain on the day. Whatever your venue, make it a priority that there’s a relaxing space for guests to take a break from the party noise. You’ll no doubt appreciate that space to steal a quiet moment for yourself at some point during the wedding party celebrations too. Finding a wedding location and venue that lives up to your dreams, is affordable, convenient for your guests and isn’t already booked is a big deal. Location is probably one of the most important things to consider for your guests. Can guests get there by public transport? Is there parking? If you need to transport guests this will need to be factored into your budget. It’s pretty obvious that if you opt for a destination wedding, it’s going to ruffle a few feathers. If that is absolutely what you want then go for it. Read about one couple’s decision to cancel their traditional wedding plans and get married abroad instead here. A friend of mine actually got married abroad with just two friends present, but organised two parties back in the UK, one for friends and one for family, on the couple’s return. Despite initial protests, everyone accepted the decision and had a jolly good time at their respective wedding dos. Whatever your wedding conundrum, there is always a way to make compromises without sacrificing how you imagine your big day to be. The politics of bringing friends and family together and even family and family together is one of the most stressful parts of the wedding planning experience. While you can’t please everyone, you can be mindful with the seating plan and place any persons with fractious relationships apart. Trying to please everyone can feel a little too much and is one of the most common cause of arguments when planning a wedding. But, with a bit of extra thought, keeping most of your wedding guests happy is entirely possible. Good Luck!